← Airline Industry Summer Strategy: Have lessons been learned? Whole Foods definitely has an edge over the competition in terms of fresh produce, but not always in terms of price. The usual suspects in the grocery market such as Jewel and Dominck’s offer many organic and healthy options for a lower price. One of the big differences, as the author mentioned, is the environment and atmosphere that Whole Foods provides for its customers. I wonder if Whole Foods could lower its produce prices if they cut costs in providing the fresh environment. 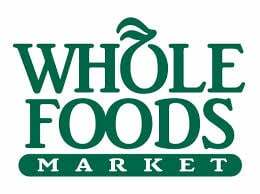 Whole Foods definitely had the competitive advantage for fresh and organic foods but many grocers are using these same tactics. Places like Mariano’s, Trader Joes, and Caputo’s are attracting some of the customers from Whole foods because they are cheaper and offer great quality foods. Before I read this article I didn’t realize how much manipulation Whole Foods used. I don’t think people know that they are being primed before entering the store. Many people would probably continue to shop their if they knew but they would not be as affected by the manipulations. How often are we being manipulated while shopping? Great post! This information is useful for many shopping experiences. 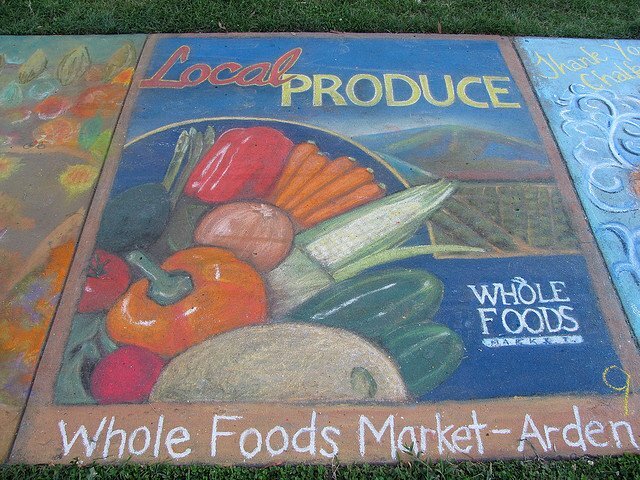 Customers of whole foods to there because of the appeal of eating locally sourced organic produce. 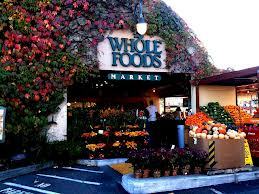 I myself like shopping at whole foods because I feel that buying organic food is better for me. In regards to the matter of why customers are coming back even though they are getting primed, the answer is that they would come anyway. The products and the customer service at whole foods speak for themselves. The only reasons I would think that they do things like place flowers in the front or sprinkle the produce with water droplets and keep everything on ice is to promote a sense of “freshness” customers associate with water and ice and fresh cut flowers. This is meant to provide the aesthetic appeal to get customers in a good mood to buy more and have the store stand out among competitors that don’t do these things. When I hear Whole Foods I picture exactly what you stated. Another thing that comes to mind is how Pricy it is verse their competitors. Whole Foods sells the whole package when it comes to shopping at their store. The freshness and the image (social status) that comes with shopping at their stores. I never thought about how the ice and sprinkling water ties into making it seem more fresh over other stores. I think people will shop at whole foods no matter what. It may cost more but you’re paying for the image of shopping there and the freshness. Whole Foods definitely does a great job of providing great service and quality products, but also the tactics, described in the post, make give this supermarket strive among its competitors. Yes, they are pricier but the particular image they have created through aesthetics, pride in quality, and exceptional service attract their customers to come back. In a way they compare to Starbucks, their coffee is expensive but that is because they also sell an environment. The experience you get when you step into Whole Foods is worth the high food prices. It seems to me that more companies are not only focusing on the product they sell but also the environment of their stores. I love Whole Foods! Aside from its pricey inventory, I really enjoy being there just because they make you feel incredibly comfortable while shopping there. The way they market themselves with the fresh flowers and how they have everything to be very organic because I believe they stick to their quality. It’s a really great experience being there and I feel like they want you to be as healthy (in your own way) as possible. Every store has its strategies that are placed to make their business. Although there are tactics and tricks that are being attempted, at the end of the day customers might get whatever they need or whatever seems good to their eyes but after they go home when they do eat the products, THAT shows the freshness and quality of the food they bought and that’s what brings back business in my opinion. Yes, the tactics like water droplets, ice being placed in certain areas and flowers being kept in the entrance makes a difference to ones eye but its the quality that makes a difference. It’s interesting to see all of the tactics that Whole Foods uses to get their customers attention, but they aren’t the only ones who use these tricks. Trader Joe’s also places flowers at the door, and I’m sure other grocery stores use similar strategies. For me, the appeal of Whole Foods is, like you said, the aesthetic experience. There’s so much to look at and experience it makes grocery shopping fun. However, I feel like unless I’m looking for something really particular, I’d rather shop at Trader Joe’s, because it’s similar quality at a much more affordable price. This is a very interetsing and informative article. I myself am an avid Whole Foods shopper so reading this was engaging. I think now that you bring the specifics to the table, like the fresh flowers at the entrance, it makes so much more sense why the “experience” is so enjoyable. I never knew that the water drops ont he fresh produce, and the sprayers that spray water onto them were not a necessity and actually just a marketing technique. In a way it is genius because it appears to be something vital and natural, however it fools our minds and engages us into thinking how “fresh” or “good” those vegetables look. I think Whole Foods has a really good niche and it is highly effective. I could only see their following growing as time goes on as our world is becoming more “green” and health conscious.